The same part of the brain that recognizes faces in humans recognizes the faces of cars. That's why we remember cars by their fronts. Now it's time to give the rears some love. According to Jalopnik readers, these are the ten cars that look better from the back. What car looks better from the back than the front? Why it's best from the back: Look at those fat rear tires. Not exactly what you would call pretty, but somehow brutal and attractive. That pretty much sums up the Italian styling / American V8 power combination of the Pantera, all in one very naked rear end. Why it's best from the back: Say what you will of the front end styling, there's no denying that there's something stunning about the back end of a GTR. It's probably good that Nissan got the rear end of the GTR right, as it's all that you're ever going to see of it if you meet one on the road. Why it's best from the back: The "boattail" Riviera was something of a tribute to past designs, but it got its own fantastic rear in the process. Paying homage to the classically over-styled boattail Auburns of the 1930s and the Corvettes of the early 1960s, the Riviera never exactly came out like the designers wanted it to. The Riviera was too big for its styling, which hurt it from the front and from the side, but left the world with this endless, overflowing, glassy rear. Why it's best from the back: Ferrari campaigned a racing version of its mid-engined road car, the 512 Berlinetta Boxer, in the very tail end of the 1970s and the very early 1980s. Aerodynamics meant the road car's pop-up headlights had to go, leaving the front looking like some droopy-eyed sea monster. The rear, though, all exposed engine and "5BB512" script, was just perfection. Why it's best from the back: John Z. DeLorean's DMC-12 was a disappointment in many ways. It was slow, it had the most convoluted funding in the already-shady world of small-scale automotive finance, and on top of that it was exceedingly slow. The back, with those bright grid taillights, was one thing they got right. Why it's best from the back: The world happily remembers the 1970-1974 Plymouth Barracuda as the high point of the breed. The 1967-1969 ‘Cudas, unloved as they may be, absolutely trounced the later cars when it came to the tail. The fastback just flowed on to such a pretty rear end that we love it more than any other ‘Cuda, even if the front never really differed from the homely Valiant family car on which the fastback was based. Why it's best from the back:From the front, it looks like some kind of faceless alien space sailing ship. From the back, it looks like the Le Mans prototype racer of your dreams. Or was that nightmares? Why it's best from the back: Even Volkswagen admitted the VW bug was ugly. From the front it never looked like much at all and from the side it was nothing but an cutting edge 1920s aerodynamics. If you cut open the back to show off a hot-rodded engine and jack the car up on offroad suspension, then you have a winner. 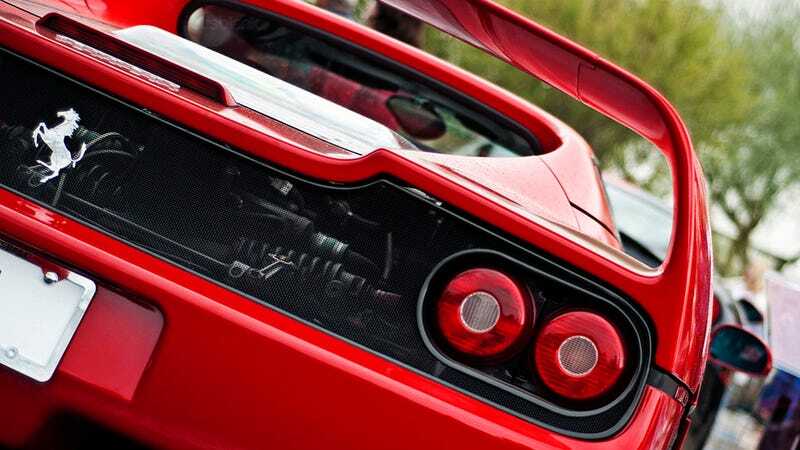 Why it's best from the back: When Ferrari went about making a tribute-to-the-company supercar back in the early 1990s, they fell victim to some of the worst styling trends of the times. When the car debuted in '95, the front end was nothing but globular curves. Just walk around the car to the back and you are treated to the very finest pieces of Ferrari's engineering. You can see straight through the back to the F50's 4.7 liter V12 developed from Ferrari's 1992 F1 car. Why it's best from the back: The Khamsin was Maserati's front-engined GT car for the early 1970s. Designed by a young Marcello Gandini at Bertone to replace the classically beautiful Ghibli, the Khamsin was a strange exercise in Gandini's angular, asymmetric look of the 1970s that gave us, among other things, the Lamborghini Countach. The triumph of the design was the rear, with the car's taillights floating free a pane of glass. They have such a beautiful futurism to them.